← Welcome J Naomi Ay! I generally find myself reading literary fiction. I like books about people and real life, although I don’t mind a teeny bit of magic realism, but only if written by the brilliant Joanne Harris. 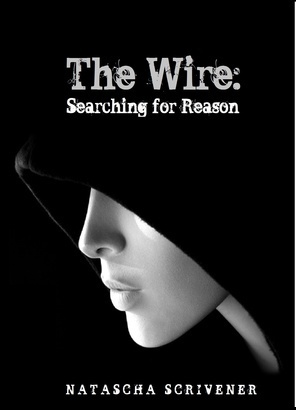 Other than that it’s just literary fiction, so writing sci-fi/fantasy for THE WIRE really is out of my comfort zone! Yes, I have a few! The aforementioned Joanne Harris being one of them, I love Chocolat and The Lollipop Shoes and I’ve just bought Peaches for Monsieur Le Cure so I’m looking forward to getting stuck into that. I also adore Peter Hedges writing (particularly What’s Eating Gilbert Grape, and An Ocean in Iowa, i’d recommend both books!) and finally, Virginia Woolf, who I find endlessly intriguing…alot of my poetry has been inspired by her works of fiction and by her life and love affairs. I’ve been writing since I was a little girl in primary school! I remember walking to school and playing out elaborate stories in my mind and then I’d get so excited if it was too wet for us to go outside to play at lunch and I could find an old excersize book to write them down in. As for writing as a full-time job I’ve been doing that for about five years now, but I’d always written before that. Sometimes. It depends what it is, I’m incredibly (and probably annoyingly) picky about music. I generally only like glam rock, with the odd exceptions. I adore David Bowie, so his music and his life have influenced alot of my writing, but if I hear a sad or slow song (I can’t stand slow songs) I get instantly cross and feel awful! If I’m in a shop I have to leave, that’s how ridiculous it is. And I can’t stand the radio, if it was on and any modern music came on I would have to stop writing because I would be too angry and uncomfortable to continue. After admitting this I’m now hoping at least one person identifies with this! Alot of things do. I can be anywhere and I could hear or see something that would make me want to write it down for future use or write about it there and then. Watching films and television programmes often prompt unusual poems or pieces of writing from me too. The Wire was greatly inspired by watching my husband play Playstation 3 games like LA Noir and Heavy Rain!